The tip claims that Palm’s webOS interface will be integrated into the Android platform, like HTC’s Sense UI, providing the unique multi-tasking and notifications management that makes webOS. Additionally, it’s claimed that Palm will be joining the Open Handset Alliance, the consortium behind the development of Android. The full memo was expected to be posted on wikileaks.org last night, but never materialized. To all this we have one thing to say: bull. We know, you know, and Palm knows that their single most valuable property is webOS. Not just the UI, but the entire operating system. There are so many ways in which this purported memo is patently false. We’re as baffled as Palm are as to why somebody would even try to claim this. The engineering, marketing, and PR hurdles Palm would have to overcome in making such a dramatic change would be even higher and harder to clear than those currently facing the company. There are two things Palm needs to reverse their fortunes: better hardware (forthcoming, no doubt) and a better ad campaign (already underway). 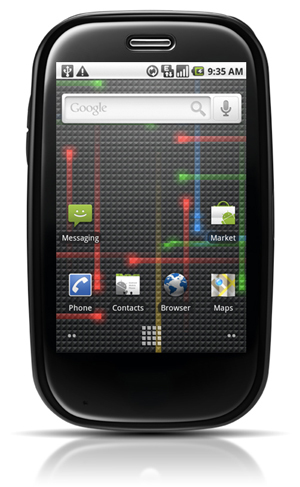 Explain to the public why they want a webOS handset and we have no doubt that customers will start to buy. Thanks to pcdsim and drewkora for the tips!